Social Media, can it help your business? Social Media in Cape Town, better managed and utilized. This column is aimed for users and enterprises with a basic understanding and principles of digital marketing and social media. Your organization or you finally have a website. You have your own Facebook business page and even a Twitter account set up. You are noticing some traffic, you have a minute following, and you’ve tossed in a few status updates and links. Once in awhile your website or social media handles show up in a search on Google. Tick “Social Media Marketing” off that list of tasks to do. Purpose accomplished. Or perhaps you are still under the impression that your business can’t profit from social media marketing at all? Even if you are an individual or a CMO at a Blue-chip global organization, your business can significantly benefit with social media, despite its size or business model. 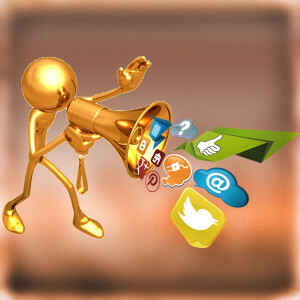 Why is social media marketing so important? Well, there are some obvious reasons why your business will grow and improve with social media marketing. Well, it is rather obvious. Social media support your website links and content that you provide. You produce more pure content to your website. When your search engine ranking improves, you will get better referrals from your users, your viewers, your contributors, etcetera. With Social Media in Cape Town. Table Mountain has a big part of defining Cape Town. Eventually, you will generate an income befitting the corporation, company or even yourself! Depending upon your market, your revenue may be created from a product and or a service that you are providing. Frankly, better and more social media = more money. Simple as that. It will and can work for any company or business out there. Businesses that want only to sell cakes or koeksisters or even the odd muffin, wash windows, do rope access, sell motor vehicles, houses or properties. If you have a business, then social media is for you! Any business will forever benefit from interacting with their customers, clients, readers, viewers, peers, prospects, or industry heavy hitters. People and organizations, businesses and corporations, consider this to be the most important aspect of social media marketing. Establish a positive discussion with a client and that will lead to signing a contract. Strongly increase an existing client’s company. Provide outstanding consumer assistance by responding to problems or discussing matters. Be open about your latest campaign, strategy, or assistance. The opportunities are unlimited, and you’ll be dropping chances if you do not have a powerful Social Media marketing plan established. Unmanaged or not managing your social media at this instance will leave money to go to waste. Improve your view about technicality and technology, it changes daily. Unfortunately, social media get perceived as unnecessary. We believe it’s especially valuable. Business professionals know the difference between good and bad social media strategies they normally can define what works and what does not. So, does it matter if you are busy on social media, or not? Do people care about how many followers, subscribers, friends you have? Or if you have a lot of views, tweets, likes post likes, mentions, favourites on posts, shares, etcetera. Well, seemingly, there are a lot of people who do care! Like customers, other businesses, contractors, corporations and your competitors. When you are a huge corporation or a business that rely on online acknowledgement sales and business acumen. If you only have 200 Twitter followers or 500 likes on Facebook, or 10 people circled you on Google+ this obviously will not look good if your competitor has 10X that amount. It also matters when they are active on their social media, answering and posting interesting tidbits about their business so that their clients and even competitors see it. When any business work with and on their social media, everyone sees that, that business is serious about their marketing. The online world is changing if your target market is the younger or more technological generation you have to go with the change, or you will get left behind. The younger generation is now using online tools to research how a company is behaving and they make their decisions regarding how a company social media is doing. Having a trivial or questionable social media appearance makes your company look ineffective and your competitor will just seem to be the better option by association. Loss of income and a downwards spiral on the funds will look bad for most companies. You need to be visible on all, or most of the social media platforms. You need to be active, answering questions, ask questions, recognise comments and acknowledge remarks. People companies and corporations do make judgements and decisions on numbers, fair or not. Your social media might just be the tool to help your business.